Mothercare [IRDX RMOC] has appointed internet retailing veteran Mark Newton-Jones as its chief executive. The appointment, which starts from July 17, follows Newton-Jones’ four-month interim stint in the role leading the maternity-to-nursery-equipment provider. 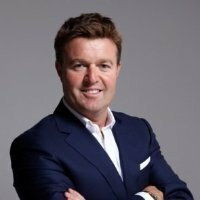 The hire reflects the importance of online and multichannel retailing to the company: Newton-Jones previously spent 10 years as chief executive of home shopping business Shop Direct [IRDX RSDG], during which it moved firmly towards online, launching brands including very.co.uk and isme.com. He also previously spent 18 years at Next [IRDX RNXT], with five years as director responsible for the Next Directory. Alan Parker, Mothercare chairman, said he was delighted with the £600,000-a-year appointment. Mark Newton-Jones said: “I am very much looking forward to leading the Mothercare Group at such an important time in its development. Mothercare and Early Learning Centre are two iconic UK retail brands which have both developed into significant international businesses, serving parents and young children in 60 countries.